The Chicago Public Libraries were created directly from the ashes of the great Chicago Fire. After Chicago’s Great Fire of October 8, 1871, A.H. Burgess of London proposed an “English Book Donation,” which he described, two months later, in the Tribune on December 7, 1871 to the people of Chicago - “I propose that England should present a Free Library to Chicago, to remain there as a mark of sympathy now, a keepsake a token of true brotherly kindness forever'. 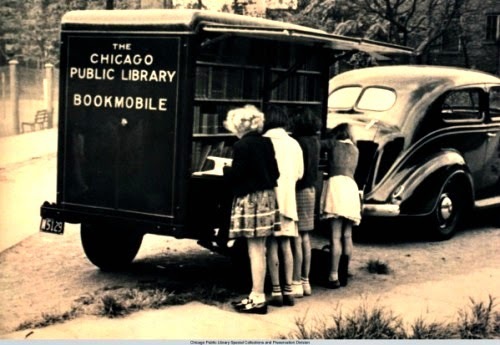 Before the full-service (stand-alone) library and delivery stations (library storefronts) their was the book-mobile. 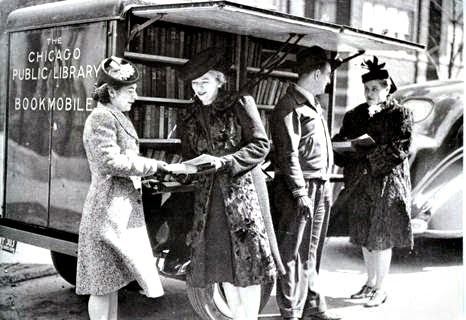 The book-mobile was initially used in rural areas so to provided communities that would wanted access to free library materials and could not afford rent for storefronts or stand-alone buildings. 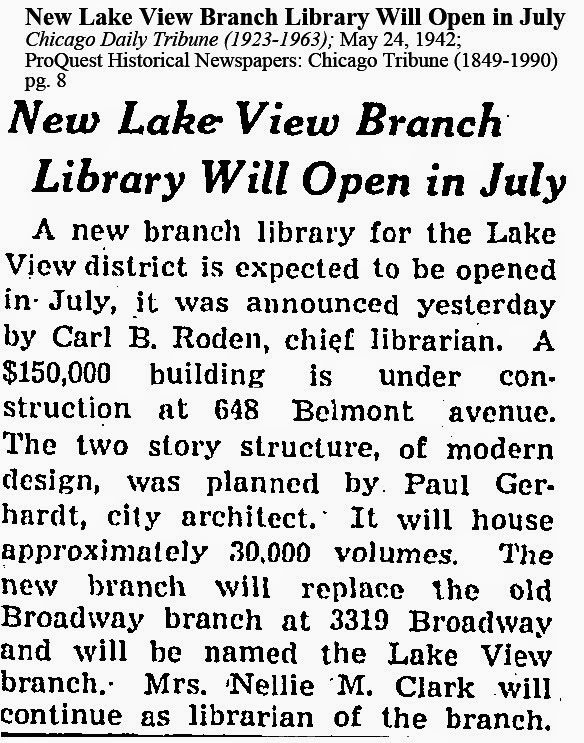 At one time, in the 19th century and early 20th century Lake View was regarded as 'rural' or underfunded for their own stand-alone library. 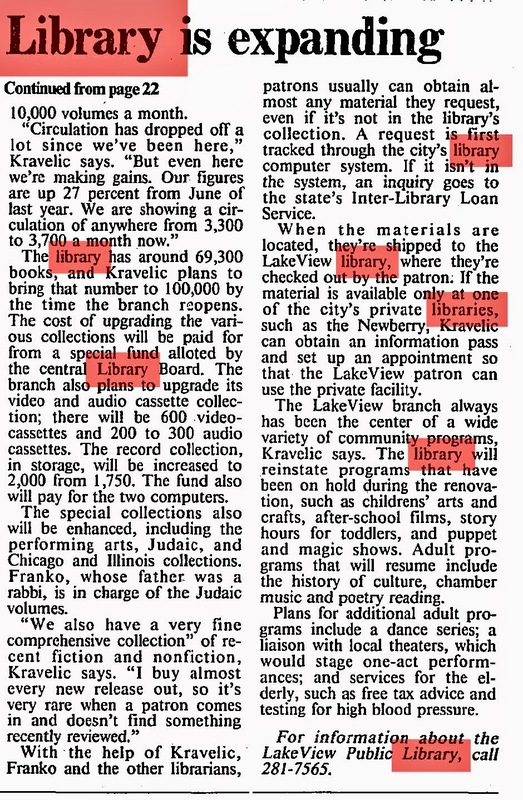 Libraries were located in one central location in a city with branches in areas that could afford one. 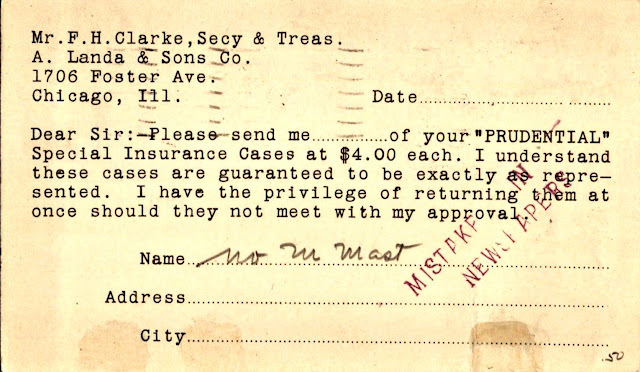 That changed after the Great Depression of 1929. 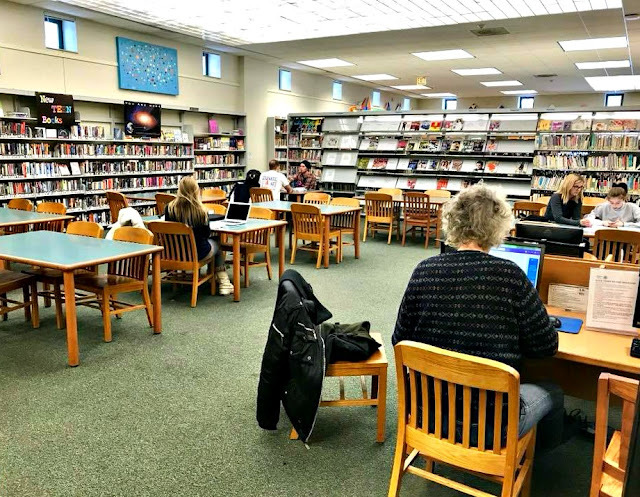 The federal government provided funding for 'library out-reach' activities to communities that wanted access to publicly provided materials. 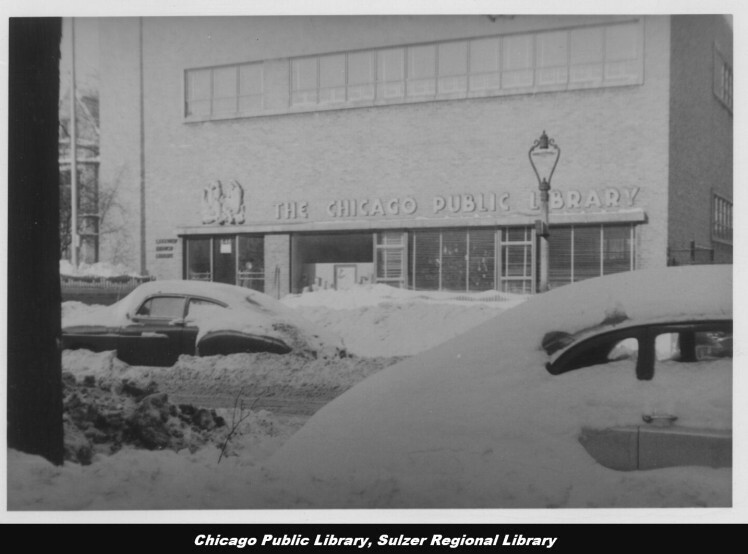 The jpeg below area of an unknown location in Chicago but the image do provide an idea of what it may have been like before store-front libraries became more available. 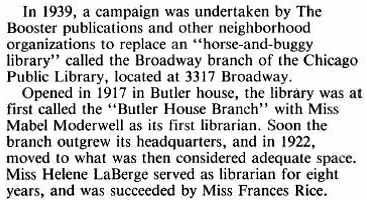 It would appear that a historical society funded a full service library by 1884. 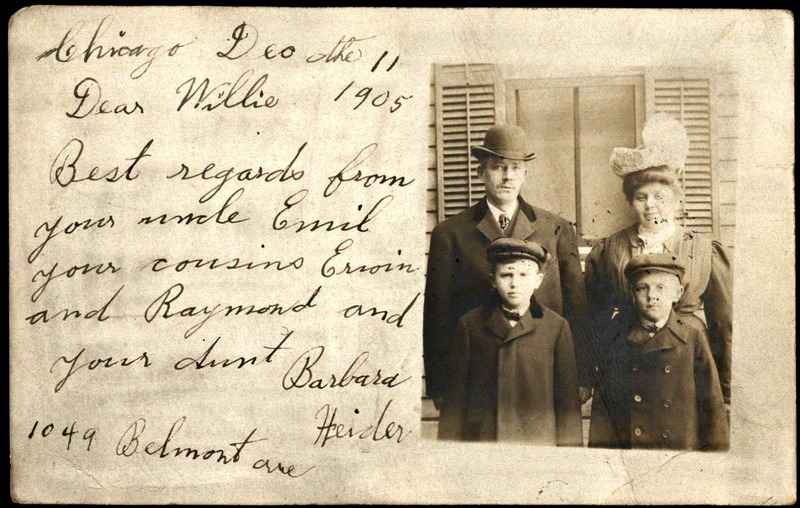 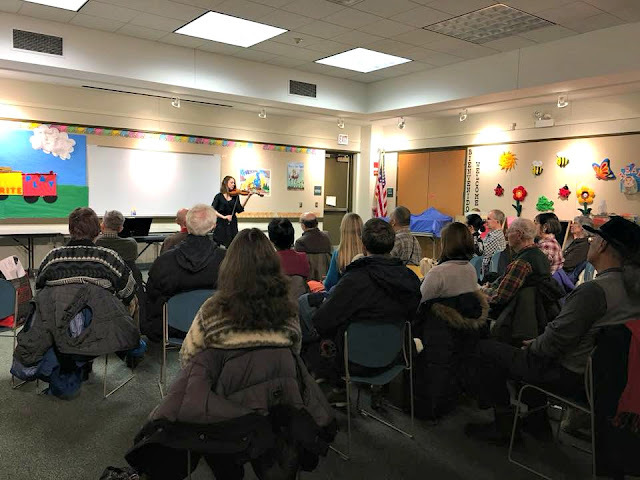 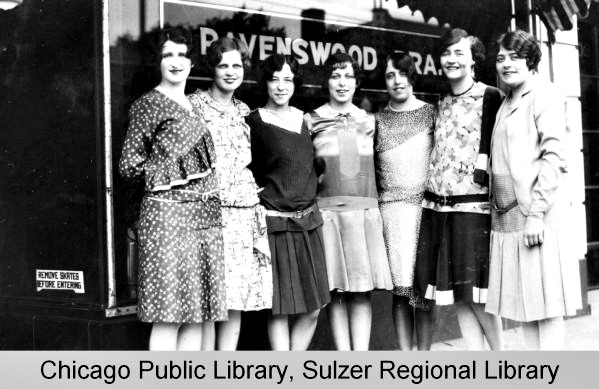 This is the account for local historian of that time period: Ravenswood History Society is a new but very vigorous young organization with among its objects the founding of a library for the benefit of the community. 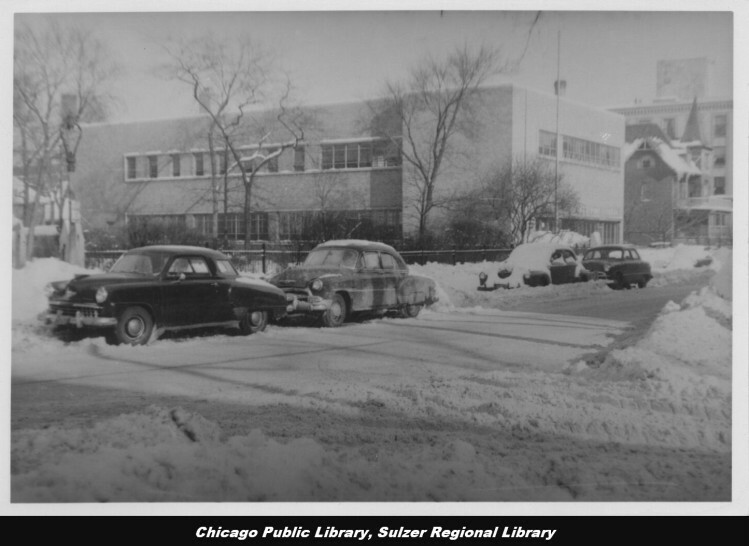 [The society's existing building] has rooms on the east side of Ravenswood Park [Avenue] near Sunnyside Avenue. 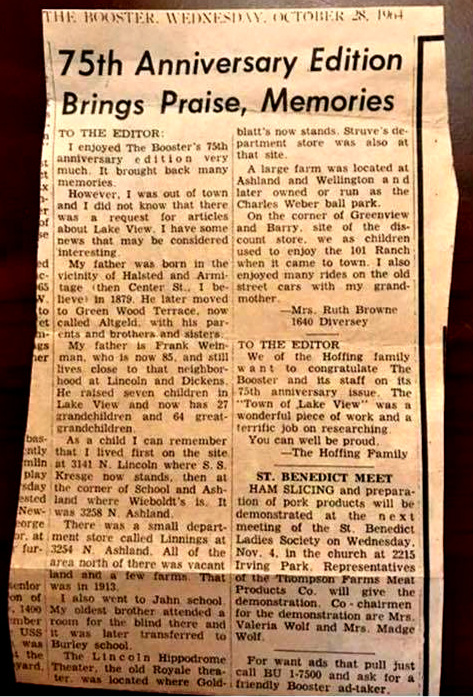 The society has just purchased a lot to erect a library building and to raise money if necessary on their property. 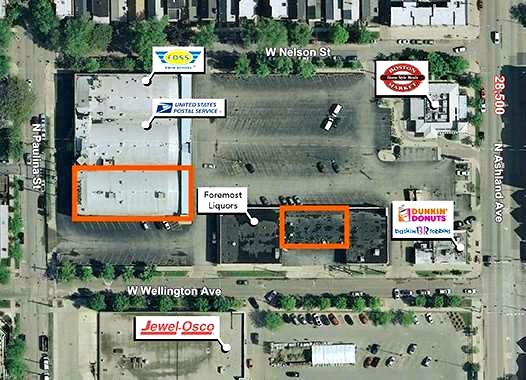 The building will be on the southwest corner of Sulzer (Montrose) and Commercial (Hermitage) streets and is expected to cost $1500; a two story brick building-30x50 ft. 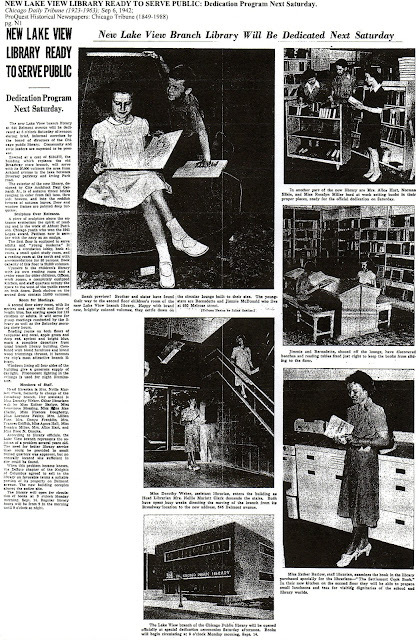 The ground floor will consist of the library [itself] and a reading room. 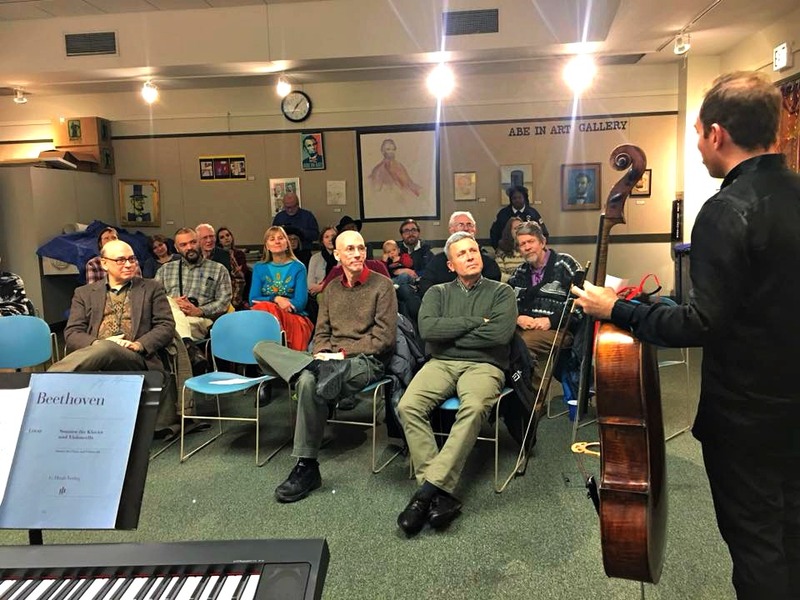 The second floor [space big enough] for a concert hall.' 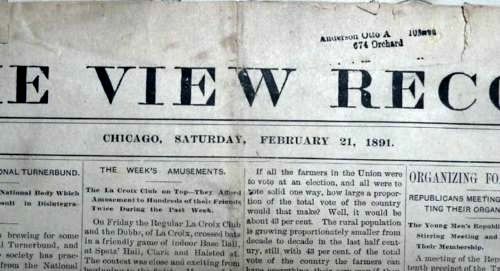 - historian Theodore Andreas who wrote a chapter in a publication called 'History of Cook County Illinois' called History of Lake View: 1884 page 712. 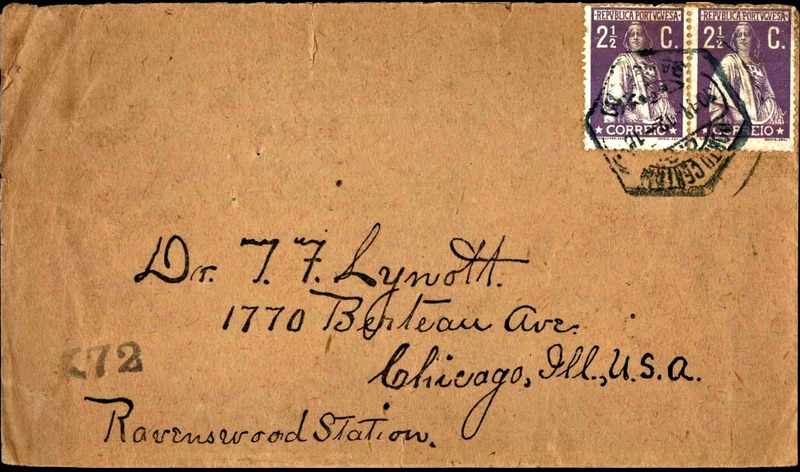 This publication covers the existing and historical accounts of Lake View and Ravenswood with many of the topical mentions highlighted in this blog. In the early 20th century local libraries, sometimes located in storefronts, were just feeder outlets and served as satellites to the main city library is downtown, much like Harold Washington Library is today. Library materials would be loaned-out to be returned to the main library at a scheduled time period. 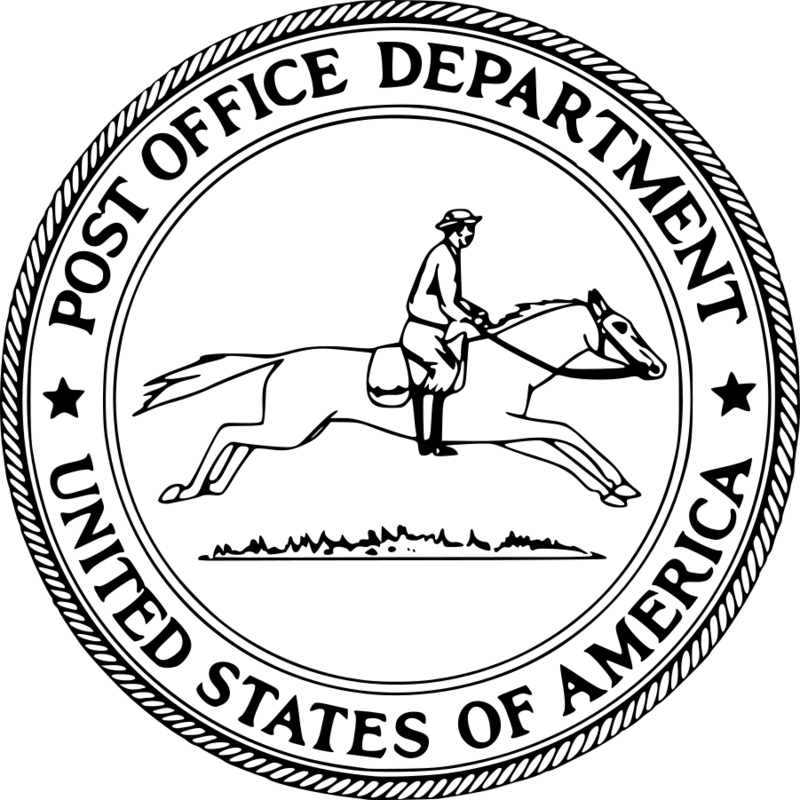 The three main types were branch, deposit stations, and delivery stations. 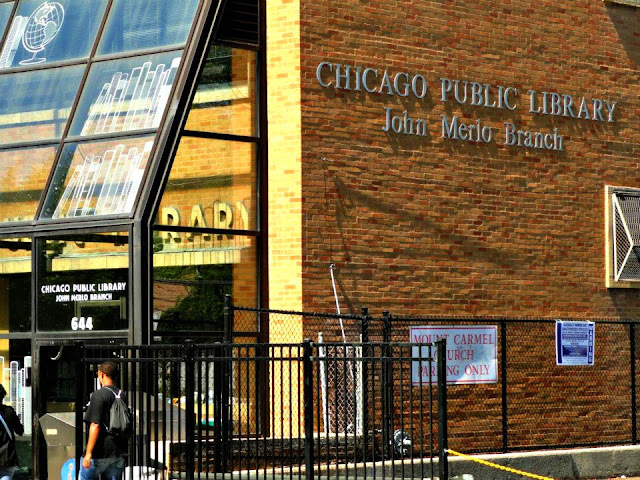 According to the Chicago Daily News almanac of 1922 the following locations served as District branch libraries (p. 868). 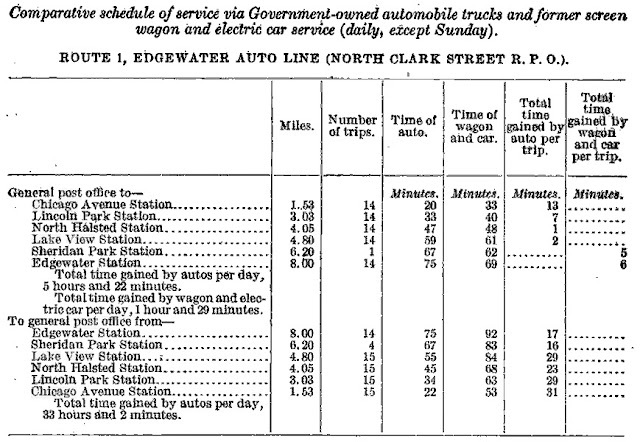 According to the Chicago Daily News almanac of 1922 the following locations served District Deposit stations (p. 868-9). 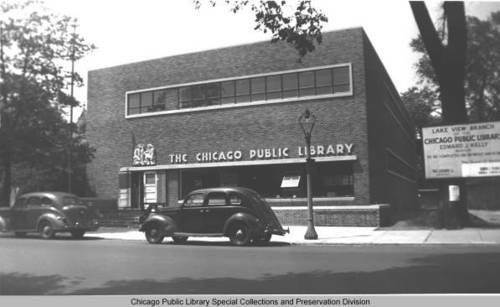 This Lake View Branch of the Chicago Public Library system opened September 14, 1942 at its present location. 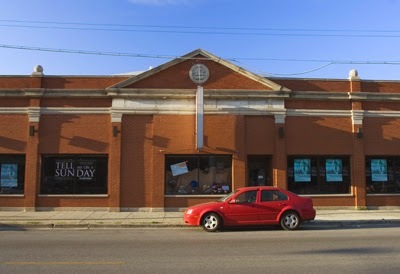 Earlier, a storefront named the Broadway Branch existed at 3119 North Broadway Avenue. The Broadway Branch served the Lake View community from 1925 through 1942. 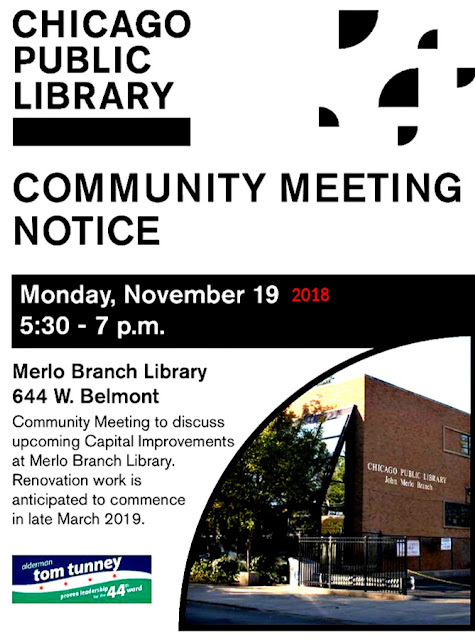 'Merlo Branch was rededicated December 8th, 1988, after undergoing a major renovation. In June 1993, John M. Merlo Branch, formerly the Lake View Branch, was renamed in memory of John Merlo, who was a local community leader and long-time Chicago politician. 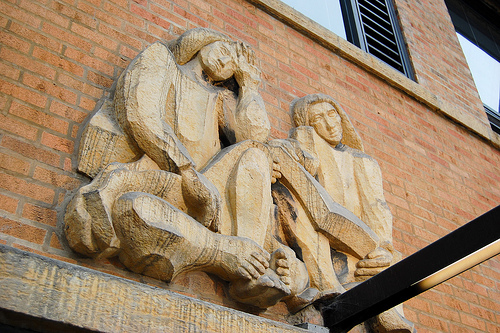 The two-story building was designed by City Architect, Paul Gerhardt; sculptor Abbott Pattison designed the frieze above the front entrance. 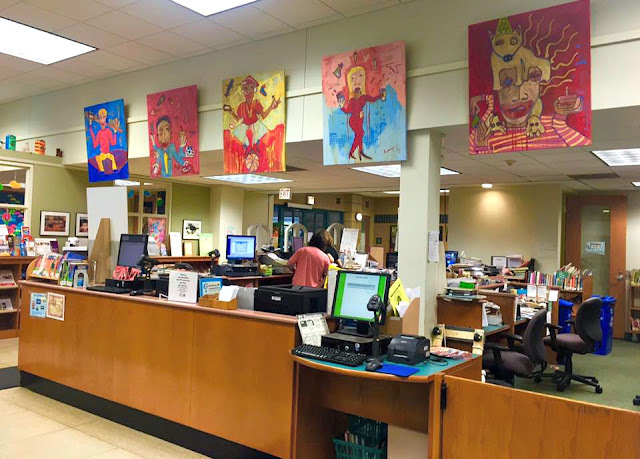 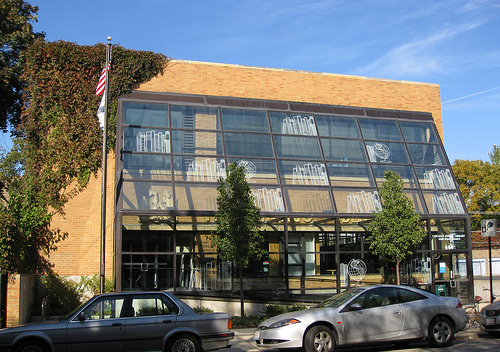 The branch houses artworks by Martyl, Louise Papageorge, and Michael Ryan, funded through the Percent for Art Ordinance administered by the City of Chicago Public Art Program'. 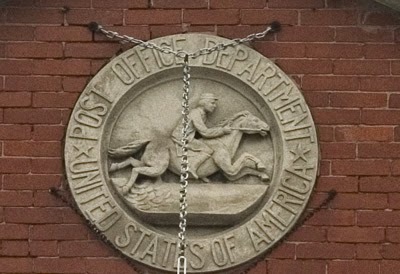 within the entryway. 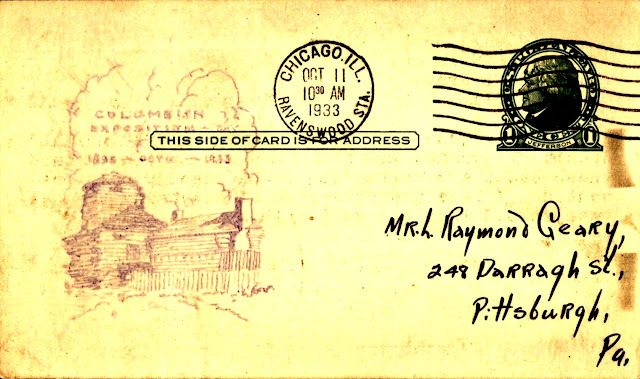 It was created by Abbott Pattison. 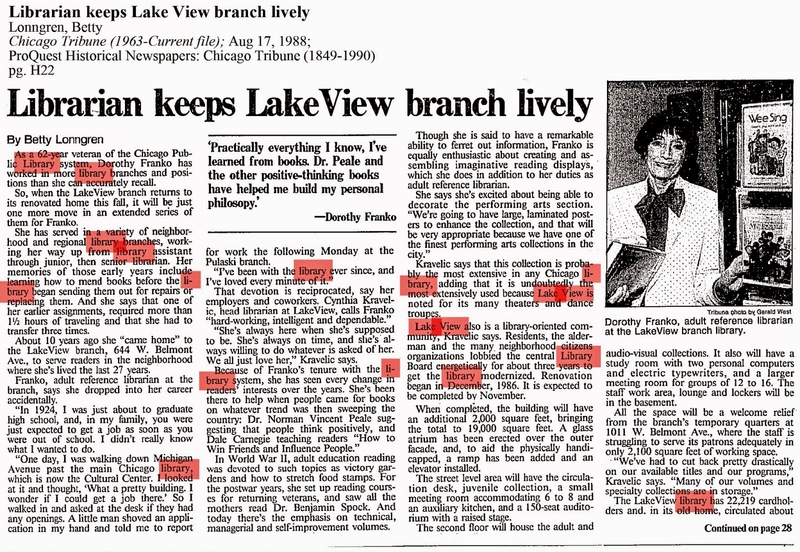 According to 44th ward Alderman Tom Tunney's Facebook page in 2018 "investments will be made to the facility, and in library programming, to provide a modern, state-of-the-art branch to the Lake View community. Improvements will include an early learning play space for children, a dedicated teen space, additional seating, additional meeting and study spaces and refreshed collections. 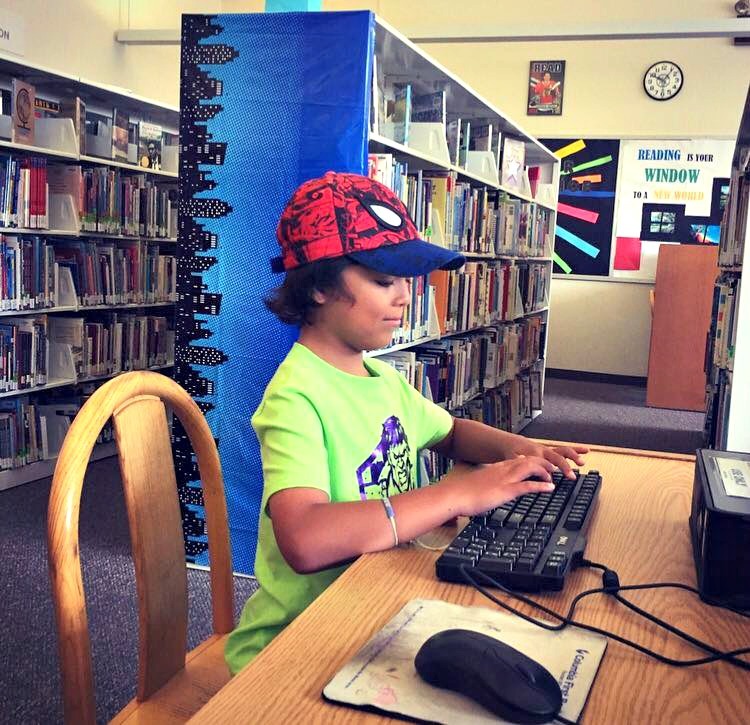 The Merlo Branch will also have digital skills training available to patrons of any age through the Library’s Cyber-Navigator program. The renovation work is expected to begin in early 2019." 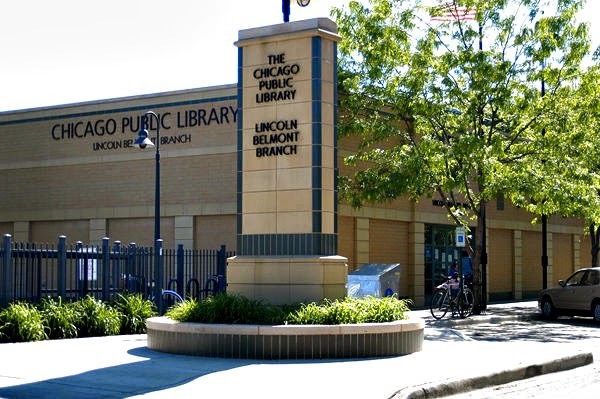 The Lincoln Belmont Branch is a relatively new library that opened on January 23, 1999. 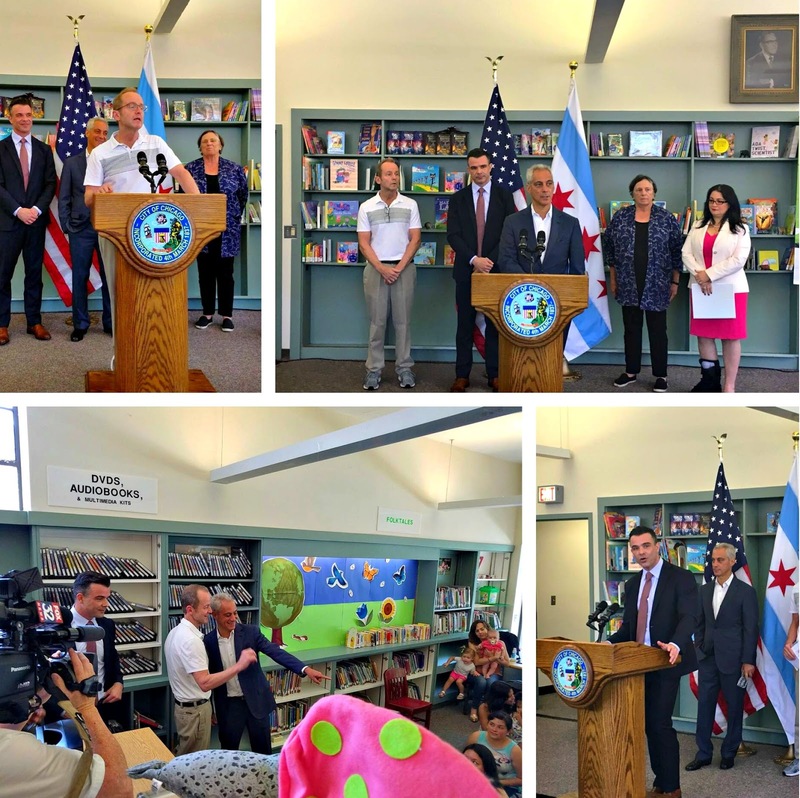 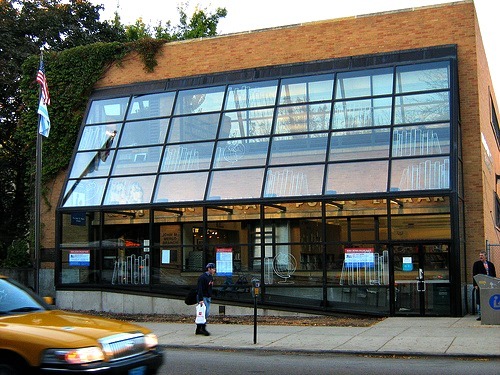 It replaced two smaller storefront branches, the Hamlin Park Branch Library located 2205 W Belmont and the North Lake View Branch Library. All municipal operations included the police, courts and mail occurred at the Old Town Hall in township/city of old Lake View except within the once private community of Ravenswood - they had their own facility. 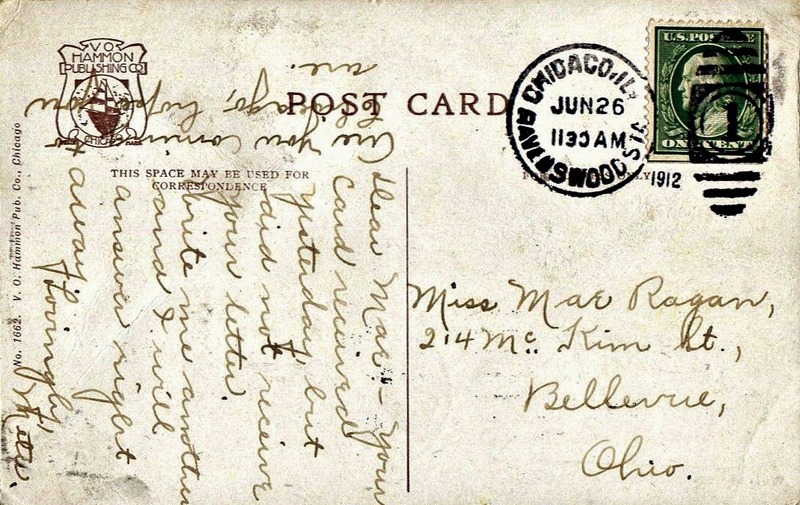 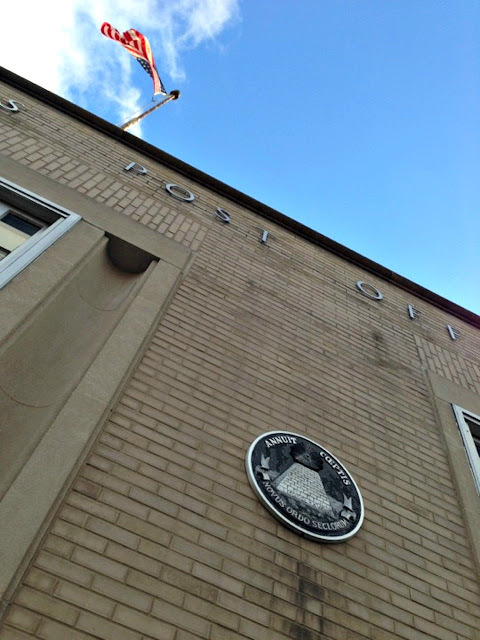 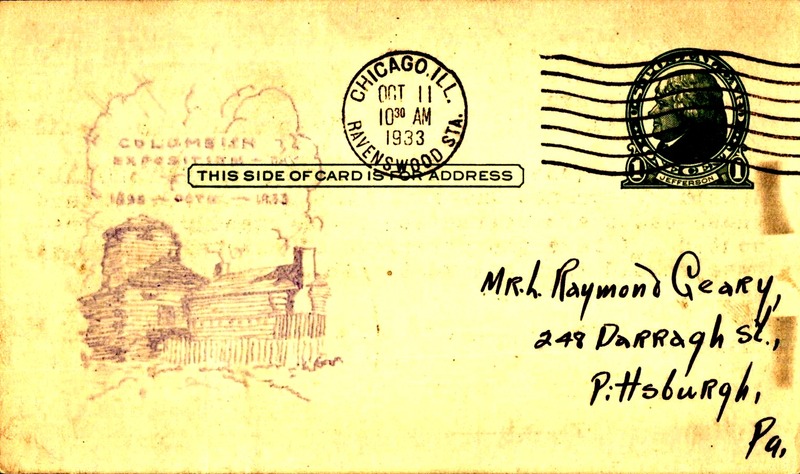 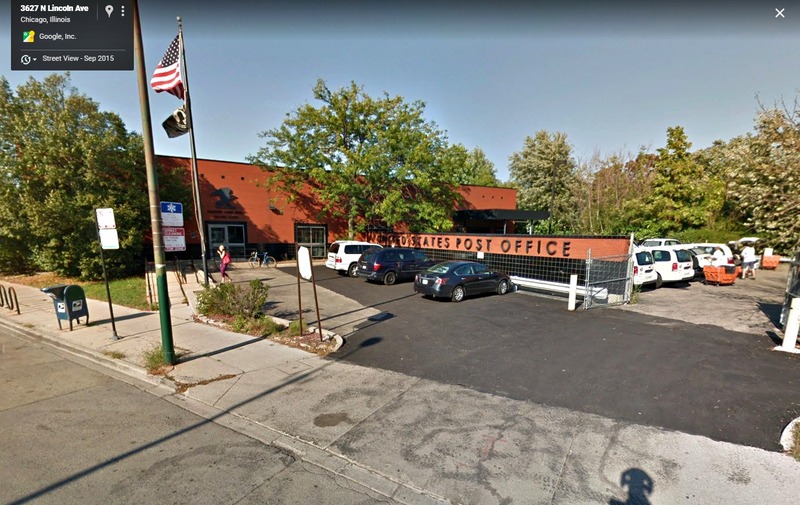 While most of the mail funneled though the Old Town Hall on Halsted and Addison streets during the days of the township the community of Ravenswood was originally one of many communities in the old township that earned their own post office well into the early 20th century. This article below is from 1900.
photo - Forgotten Chicago the old Bailiwick Theater at 1229 W. Belmont once served as a post office. 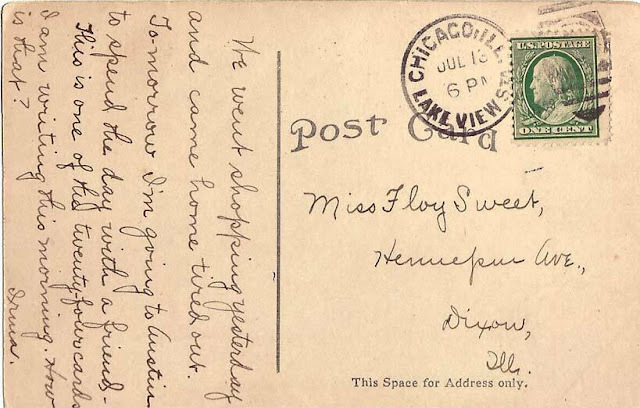 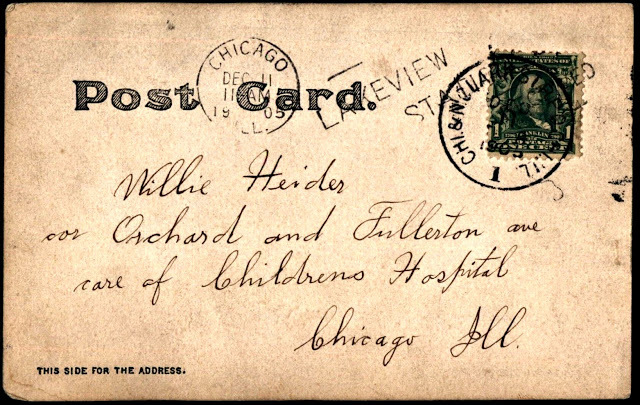 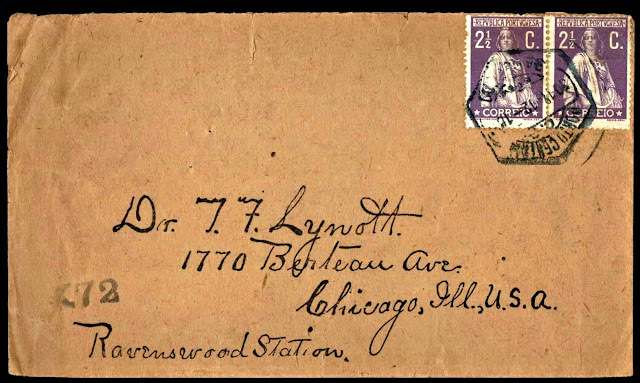 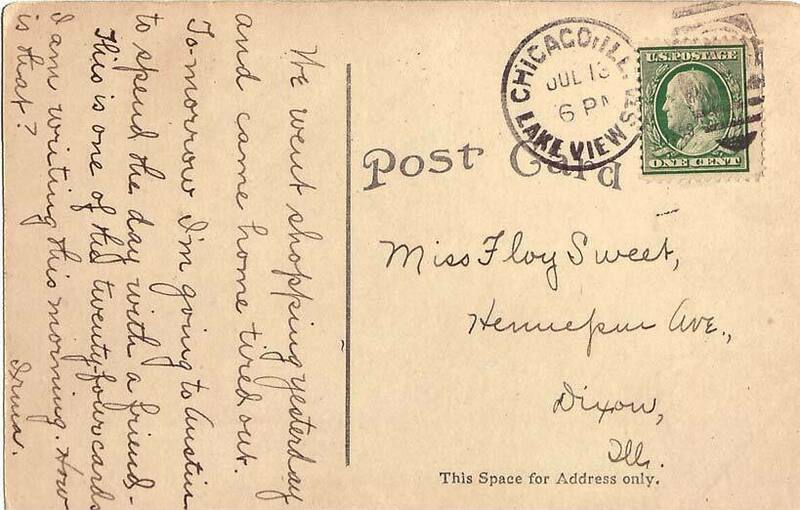 In the early 20th century other postal stations dotted the area that included areas of Edgewater, Sheridan Park, North Halsted, as well as the Lincoln Park Station. 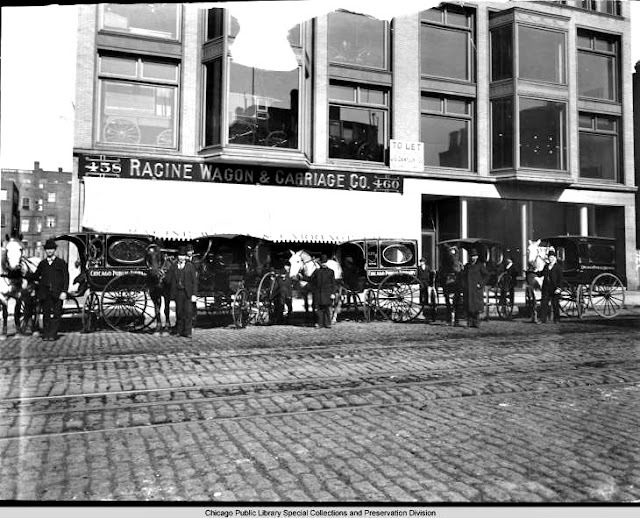 Click on this link on a 1917 'travel time study' for transport deliveries times from the main office downtown that involved the difference between horse vs automobile. 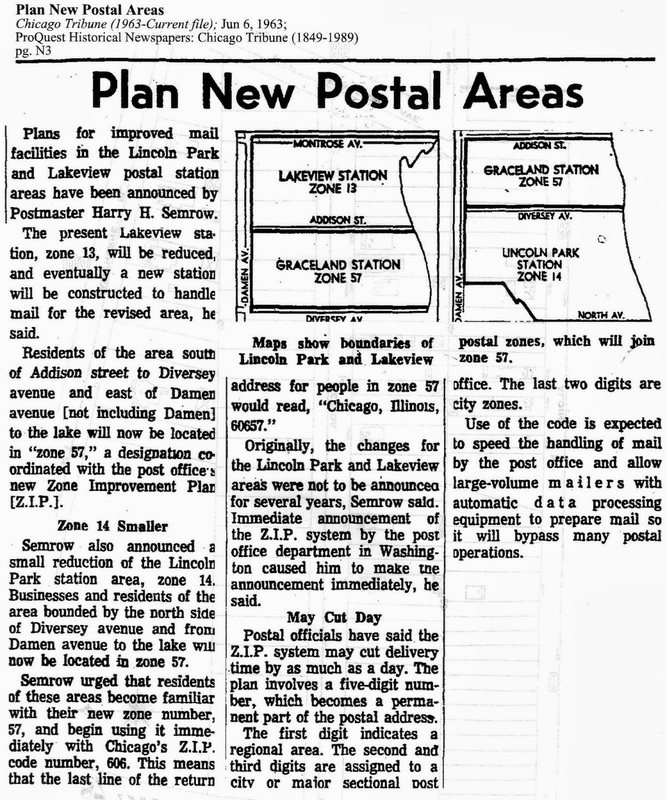 Below is an article about post areas in 1963. 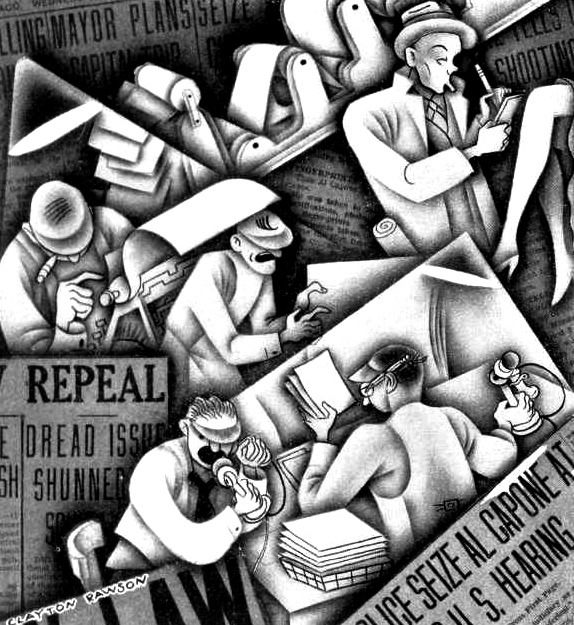 This mural is a product of the Federal Art Project via Works Progress Administration that was established in 1935 during the Great Depression of 1929. 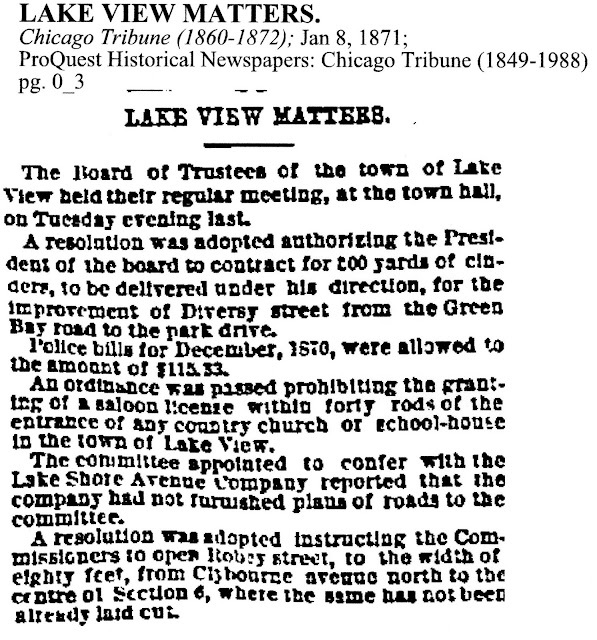 In the late 19th century news about the Township/City of Lake View could be read from the Chicago Daily News under the subtitle 'Lake View Matters'. 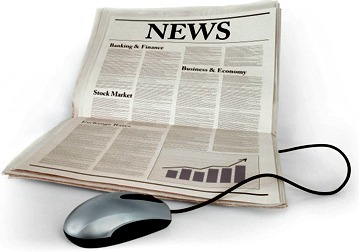 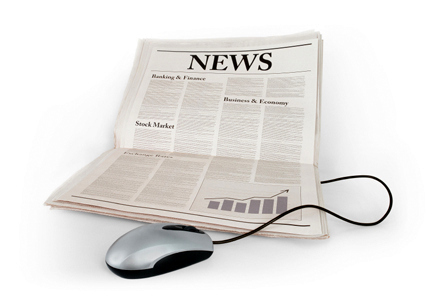 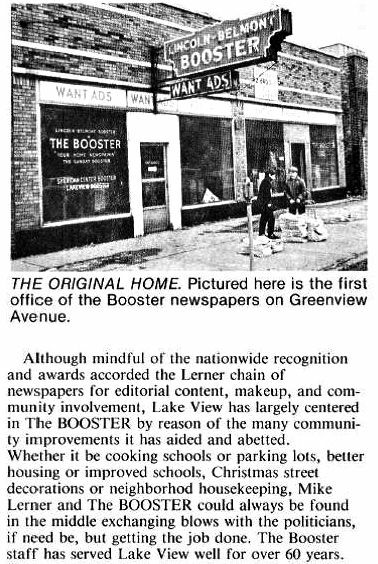 Also in the late 19th century publication called Lake View's Saturday weekly called the Lake View Independent that was established in 1884 as well as the Lake View Telephone. The ‘Lake View Telephone’ was outgrowth of the ‘Lake View Townsman’ a paper which was first issued March 21 1881. 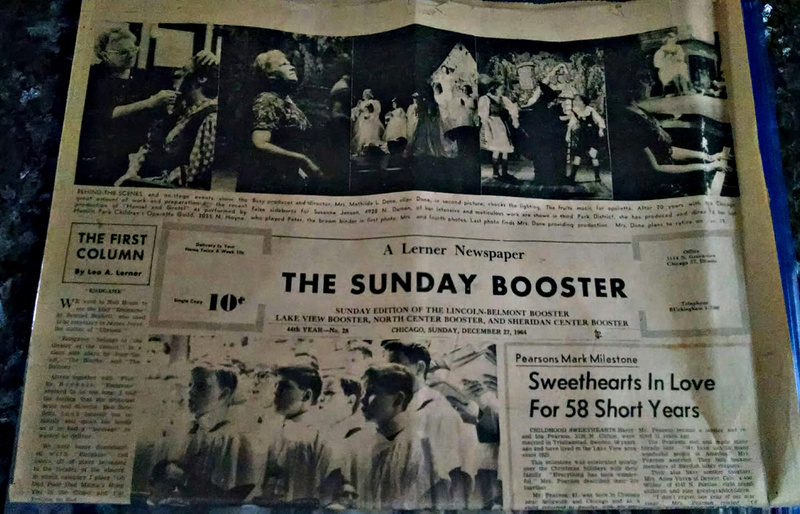 It published as a five column folio (dimensions) paper. 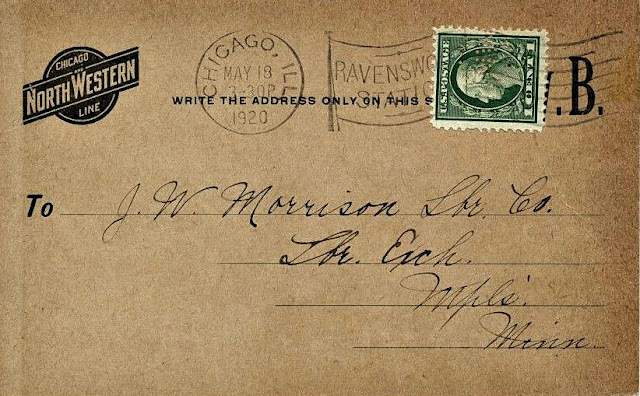 The first issue of the Telephone was published in June 4 1881 with C.J. 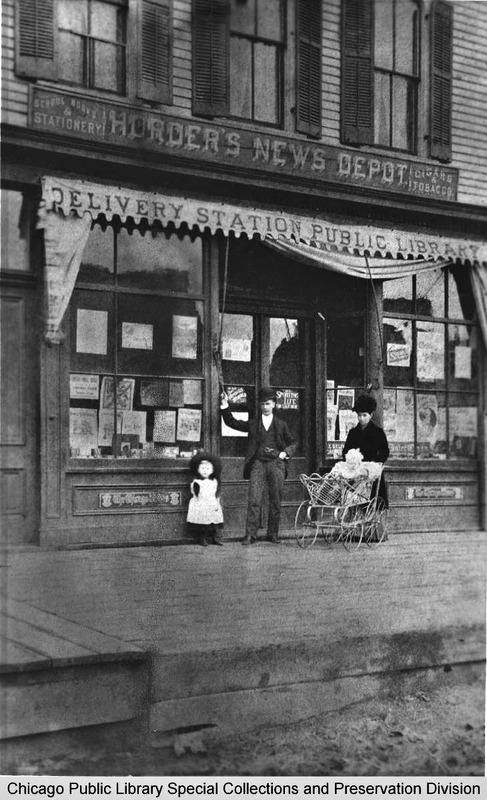 Whitney as editor and publisher. 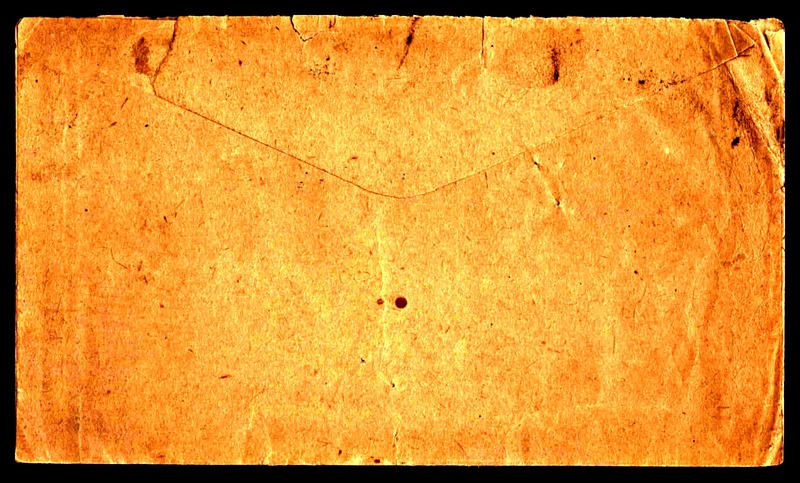 On the 11th February 1882 the paper was enlarged to a seven column folio and one year thereafter to an eight column [newspaper]. 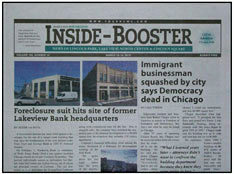 These newspapers can be found in the Ravenswood - Lake View Community Collection at Sulzer Regional Library in Lincoln Square. Along the with the Lake View Independent there was the 'The Lake View Independent' and 'The Telephone' were weekly publications (according this link their was a publication in 1887 called the 'Lake Viewer Tribune'. 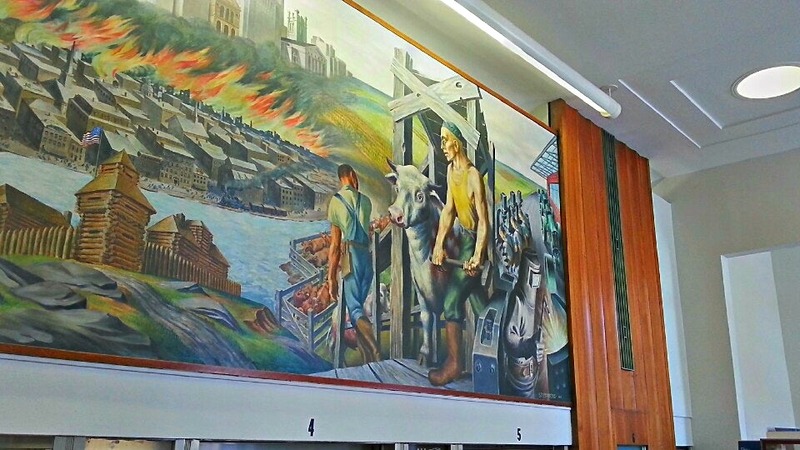 Jess Middleton worked as a newspaper boy during the 1950's and shared his experience. 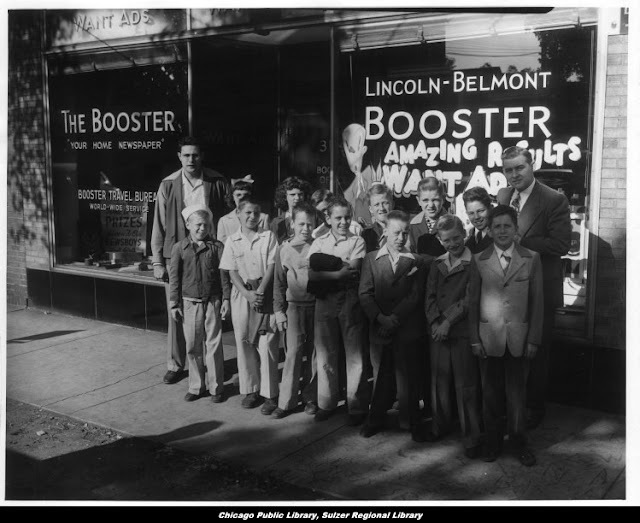 "Each neighborhood booster would of course have stories from that neighborhood. So, Lincoln/Belmont for me this is where a lot of stories were from because that was the headquarters for shopping in my neighborhood. 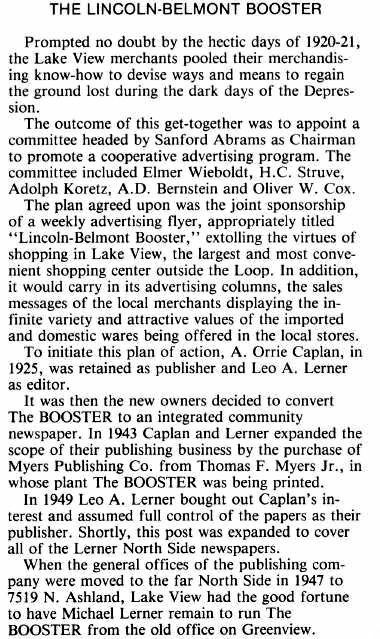 In Lake View it was the Lerner Booster, in all neighborhoods it was the booster but with a different name, example, 'Ravenswood Booster'. 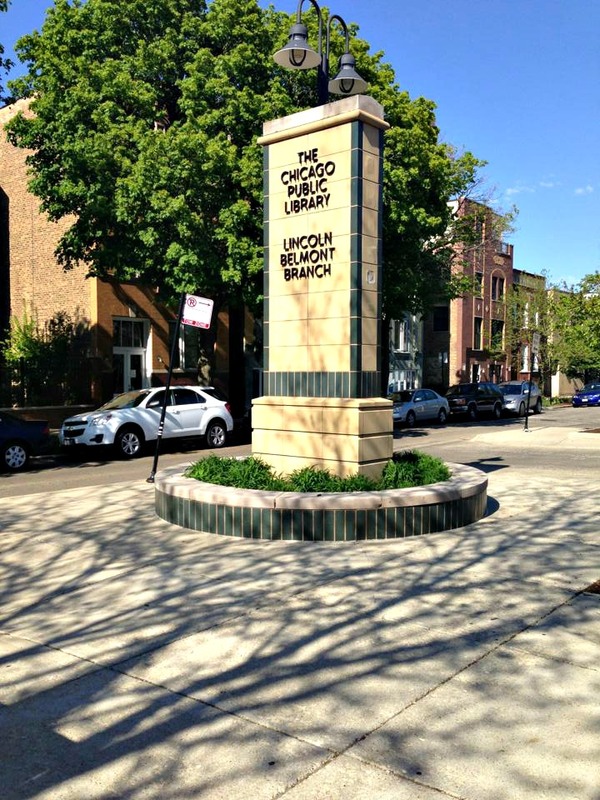 Everybody called Lincoln/Belmont the "Avenue". If someone said they were going to the Avenue, you knew where they were going. 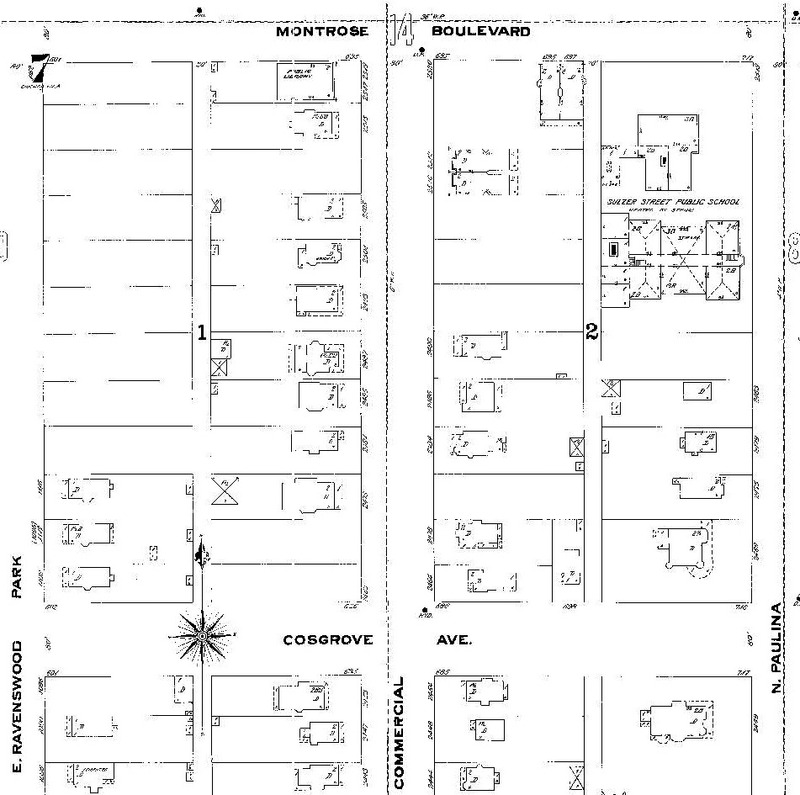 Those were the days of Goldblatt's and Weibolts and lots and lots of mom and pop shops. We both decorated their windows at Christmas time right on the corner of Lincoln and School Street. 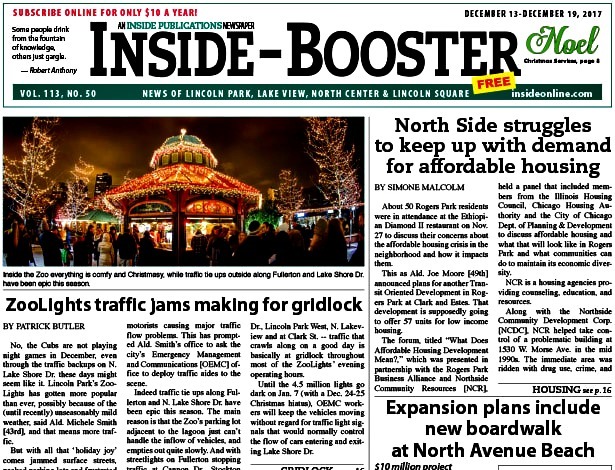 There was a huge Christmas parade that came straight down Lincoln southbound. 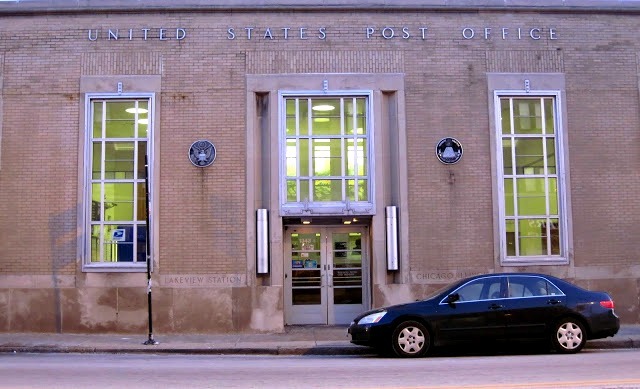 The windows were beautiful, moving figures and everything. 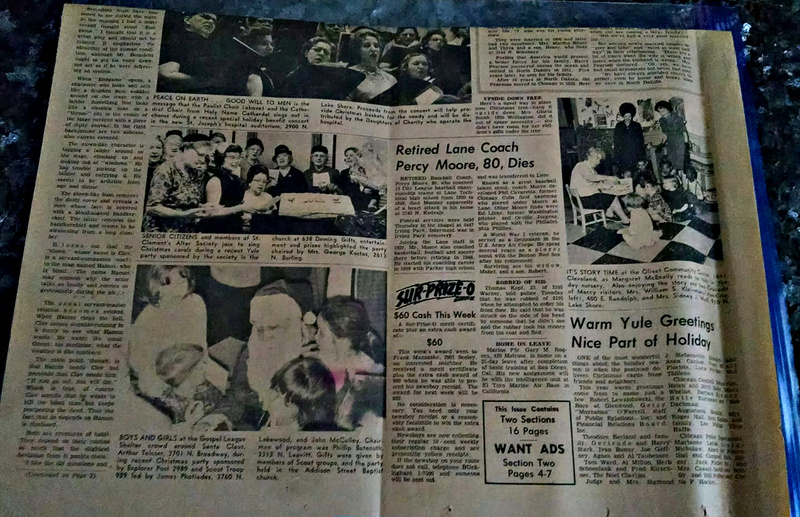 I can still remember Santa Claus on his huge sleigh coming down Lincoln Avenue throwing candy out for all the kids."